The Infinity Gauntlet has caused a lot of problems for the MCU. Not only did it help Thanos wipe out half of the universe’s population in Avengers: Infinity War, but the prop’s various appearances in the franchise – from 2011’s Thor to last year’s Thor: Ragnarok – have spawned multiple issues of continuity that both fans and the studio have tried to explain. For one thing, the appearance of the gauntlet in the post-credits teaser of Avengers: Age of Ultron saw the Mad Titan himself possessing the world-destroying prop, despite us already seeing it in Odin’s treasure room. Ragnarok subsequently explained away this issue when the villainous Hela assessed the version located in Asgard to be a fake. 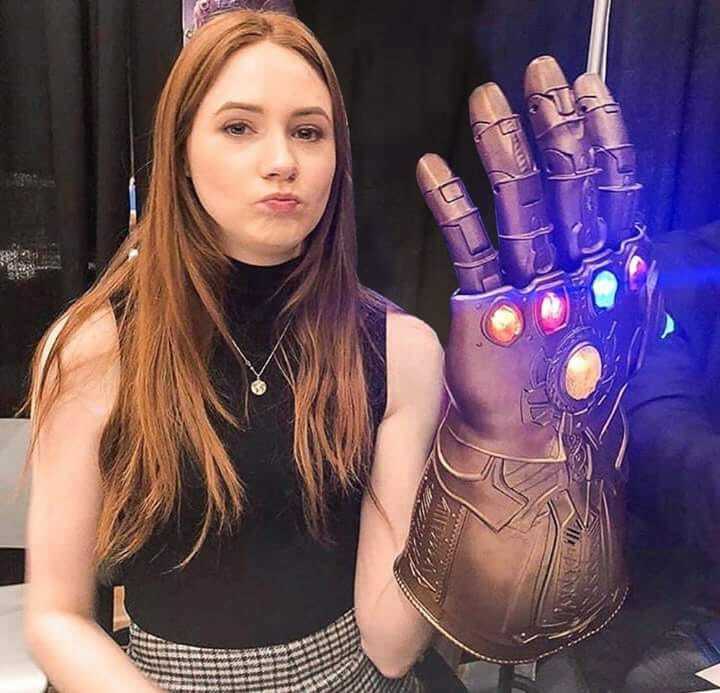 Unfortunately, though, this fix eventually led to its own problems, in that Infinity War showed us that the gauntlet is a relatively new creation that Thanos only just recently forced Eitri to make. Aside from making some viewers wonder how the relic was already in existence back in the post-credits of Age of Ultron, this development also raises the question of how the old, fake Gauntlet could look identical to the new, real one. This recent theory on Reddit isn’t the first to suggest a solution to this plothole, but it does make an unusual amount of sense. According to the post, both Thanos’ real gauntlet and Odin’s fake gauntlet are modeled on the design for an older Infinity Gauntlet that Eitri was previously tasked with making. You see, back in the days when Hela was still by her father’s side, Odin was a fierce power-hungry ruler who conquered worlds. It’s therefore not too much of a stretch to say that he might have ordered the creation of a gauntlet that could help him harness the power of the Infinity Stones. Later on, however, the king of Asgard had a change of heart, and so he chose not to follow through on the plans to create the gauntlet, but instead kept a model of the item as a reminder not to return to his former, ruthless ways. For Hela, therefore, this fake would come to represent the moment where her father changed for the worse and banished her, hence the glee with which she destroys the model in Thor: Ragnarok. While we have nothing yet to confirm this idea, it certainly seems like a well-reasoned theory that could at least hold you over until the MCU offers an official explanation. Such a day may never come, but you can certainly expect to learn a thing or two more about the Infinity Gauntlet when Avengers 4 arrives on May 3rd, 2019.